I realized I have never done a post on tools and tricks that are really great to have around. Starting out in photography, there isn't really an easy 'one size fits all' thing that you need to have. I'm not saying you need all of this - but these are things I have found really helpful through the years. If you are just starting off, you don't need to drop 5 thousand dollars on a camera. I'm not saying you can't - but it's not neccessary. The best thing to start with is a entry level DSLR and the kit lens, meaning that you buy the body of the camera and the lens in a kit. The kit lens is usually a 18-50mm or so lens that isn't the best of the best, but it's a workhorse and will get you a good photo once you learn to work with it. I am a Canon die hard, and I suggest grabbing a Rebel off Amazon. I do actually suggest you buy new for a few reasons, the fore most being that cameras have a shutterlife, meaning how many times they will click. You don't know how long a person has used a camera before you, if they have dropped it and ever so slightly messed up the internal components, or something similar. You could have it for a month, it could die, then no warranty. It's worth buying new for the warranty and usually only a tiny bit more than buying used. Try a Canon Rebel T3 kit or T3i kit. It's funny I give you this advice because I'm AWFUL at remembering to clean my lens, but it is important! You will notice your photo quality go up, even if it is a pain! B&H Photos guide is pretty helpful, better than I can explain it. AKA, I'm actually bad at it. Throw all of your other photography manuals out the window! This book is a bit outdated and is more about film photography, but explains everything SO well and with pop-up diagrams to boot. It's fun, short, and informative. My dad bought it for my mom to try and learn photography way back when, and it ended up teaching me a lot as I grew up. Apparently you shouldn't take photos through your windshield or window. I say who cares? I think too many photographers and teachers try to limit you so heavily when you start. Seriously - just play. Take pictures of your cat. Put on a long shutter speed and move the camera around haphazardly. Find your drive to do it. You'll grow with time, but if it is a chore with so many rules and regulations, photography can stop being fun. When we first started out, we ordered a bundle exactly like this off Amazon. Only it was 2007, so ours was a silver Rebel XTi. My husband is to this day still bitter I sold the thing and constantly complains about how much he misses the rebel. This kit had everything we needed - a small carrying case, memory cards, an extra battery, a cleaning kit, and decent enough tripod (it lasted me until mid 2012). I suggest trying this Canon Rebel T3 bundle. This is great! I'm saving up to get my first DSLR camera and I really want a Canon Rebel! such perfect timing for me because i've been trying to figure out what dslr to buy! i wanted a canon and heard good things about the canon rebel but then realized there are several different ones. thanks for your tips and i will check out your recommendations. At first I read that as--you NEED to drop $5,000 on a camera. And I kind of agreed because I kind of love my nicer, more expensive lenses like they're some kind of steamy lover. Too much? You rock! Keep posting the awesome photo tips! Did I mention that I have a new blog! Visit lady! I got the Canon Rebel T3i with the kit lens and I love it! 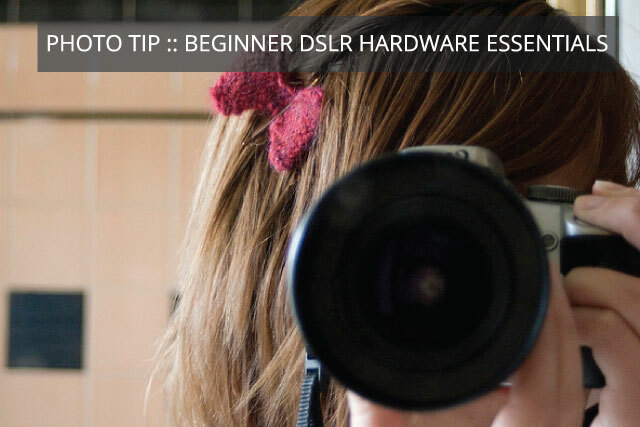 It's definitely a good DSLR for beginners. It's easy to use and it's helpful in learning more about photography in general. thanks for this article! I'm such a beginner when it comes to cameras!